Used 2018 Ford Transit 350 Wagon HD High Roof XLT Sliding Pass. 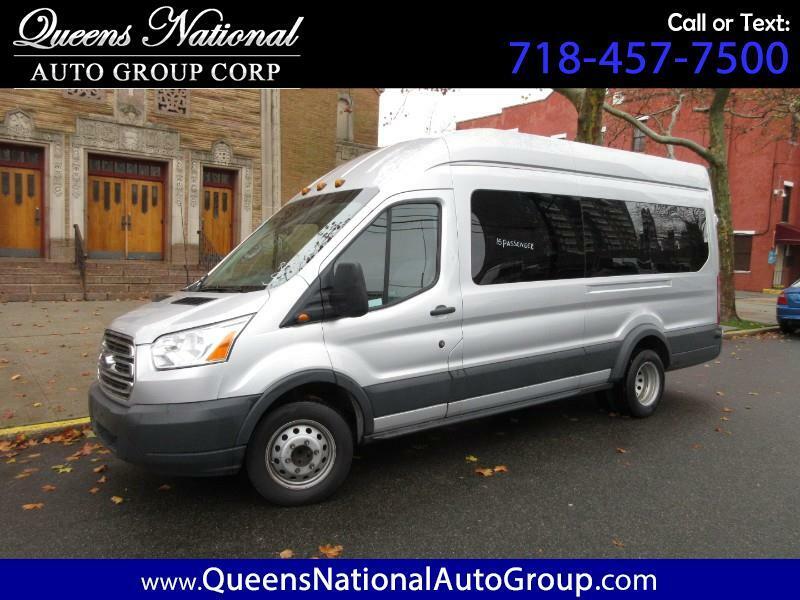 148 WB EL for Sale in Woodside NY 11377 Queens National Auto Group Corp.
(50) Photos Printable Brochure Apply For Credit Schedule A Test Drive Text Us About This Vehicle! Queens National Auto Group Corp.
Queens National Auto Group your number one source for quality, high line & exotic, Pre-owned vehicles. evident in both the remarkable quality of the vehicles and our outstanding consumer satisfaction. Pre-Owned Inventory & to be able to get Hours and Directions with but a click of the mouse. Drive your dream car TODAY !!! *We offer Clean, Pre-Owned Luxury & Exotic Vehicles Below Market Value ! *We offer Bank Financing at the Lowest Interest Rates Available & We Guaranteed Approval ! *Take advantage of our In House Financing, Buy here, Pay here on any vehicle ! Feel free to call upon our sales staff. We promise a smooth and pleasant transaction. We are here to serve YOU ! Financing is subject to primary lender approval. Precise configuration, color, specification and accessories listed should not be. We aren't responsible for any inaccuracies, claims or losses of any nature. Our vehicle inventory is subject to prior sale. The advertised price is the price for this vehicle in its current condition is subject to change depending on market fluctuation and/or additional costs incurred by the dealer, such as the following services: brakes, tires, or any similar items that were done for the safety of the vehicle. Advertised prices of vehicles DO NOT include sales tax, vehicle registration fees, vehicle transportation fees, cost of additional requests by customer, finance charges, processing charges, any other fees required by law. We, at Queens National try to obtain owners manuals and extra keys from previous owners. With that said, we do not always have spare keys, books, floor mats, or other accessories for every vehicle. Before purchasing this vehicle, it is your responsibility to address any and all differences between information on this website and the actual vehicle specifications and/or any warranties offered prior to the sale of this vehicle. Vehicle data is subject to change without notice. The publisher assumes no responsibility for errors and/or omissions in this data the compilation of this data and makes no representations express or implied to any actual or prospective purchaser of the vehicle as to the condition of the vehicle, vehicle specifications, ownership, vehicle history, equipment/accessories, price or warranties. Message: Thought you might be interested in this 2018 Ford Transit.